> Matériels>Armes>Arme Epaule>Autre>PPS43-C semi-auto al.7,62x25 pistol with folding stock including four magazines, cleaning rod, oil bottle. 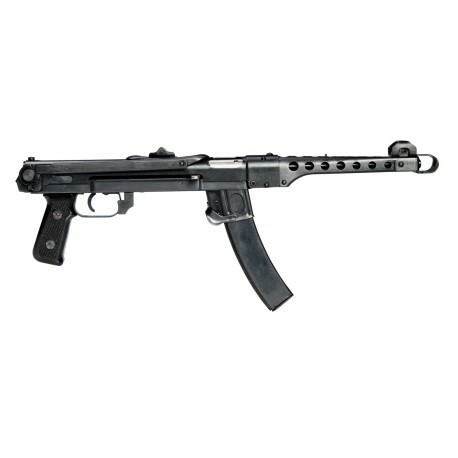 PPS43-C semi-auto al.7,62x25 pistol with folding stock including four magazines, cleaning rod, oil bottle. 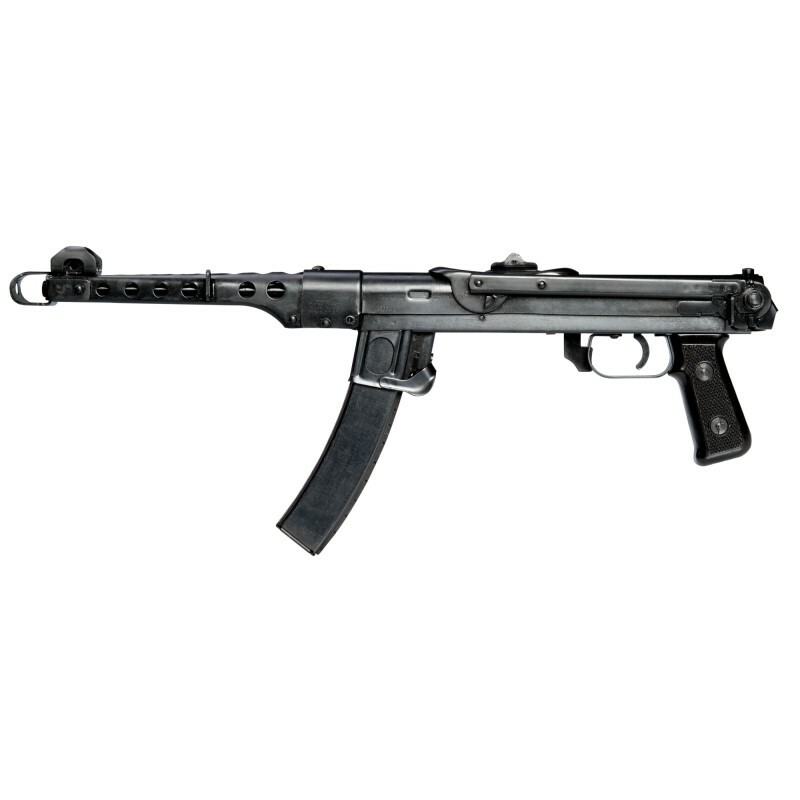 The PPS43 was license-produced in Polandstarting in 1946. Pioneer Arms together with, I.O. Inc., has redesigned this historical firearm to shoot from a closed bolt position. The safety is located at the front of the trigger guard. The receiver and barrel shroud are made from stamped steel. The rear sight is an L-shaped flip type and is marked for 100 and 200 meters distance. The front sight is a fixed blade. The barrel is equipped with a simple muzzle brake. This firearm is an ATF approved pistol. 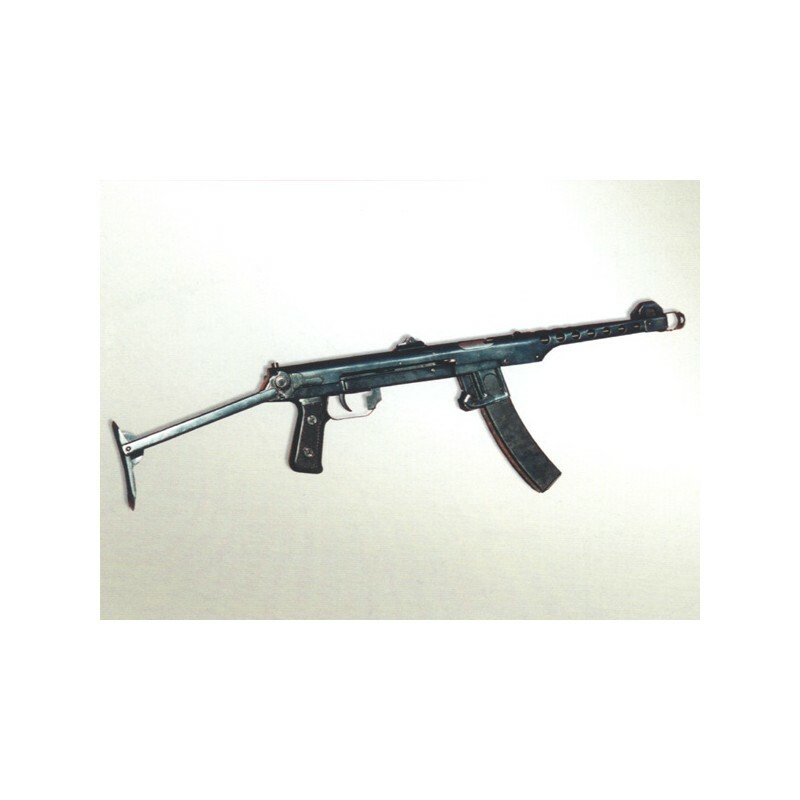 The stock has no function and is permanently fixed in its folded closed position.